Mindbody($MB) rallied 15.96% in the first week of 2017, hitting an all-time high of $25, before closing at $24.70. 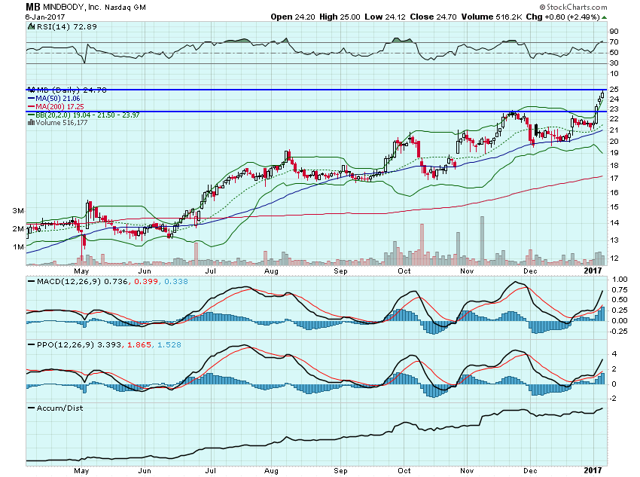 The stock is my favorite stock for this year and think it will test, and possibly break, the $35 mark at some point in 2017. I think there are quite a few possible forward catalysts on the horizon - the biggest being Google Maps integration. 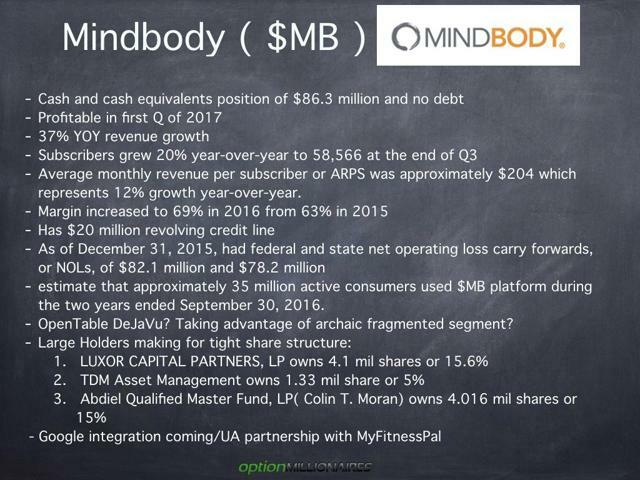 We will also find out the type of impact the recent collaboration with UnderArmour($UA) and their MyFitnessPal has had on Mindbody's($MB) results when they report Q4 earnings sometime at the end of January. For now, I have locked some of my February $25 calls in on Friday at $1.75 avg. from .60, and will be looking for some later dated strikes in the coming weeks. Disclosure: I am/we are long MB.